When it comes to bike apparel, there is flashy kit screaming like a stock car, or more understated, subtle fashion. For the minimalist, Ornot boasts a classy kit and is made in America. Cycling is going through a rebirth, promoting good times over fast times. At the end of the day, riders are saddling up to the bar stool instead of the podium, where a flashy kit, plastered in logos, is often out of place. Three years ago, San Francisco-based Ornot stepped into the market to fill the gap, stating “you could be a rolling billboard…or not”. The name Ornot was born. Designed, printed, cut and sewn … all of Ornot’s kit is made in the USA. It’s not a statement of patriotism, Ornot simply strives for the highest production quality. No surprise for a San Fransisco-based company, Ornot embraces tech-based design principles, including weekly communication with local manufacturers, iterative prototyping and user experience feedback. This ensures quick-to-market products that are on point with designer expectations and rider needs. Of course, it doesn’t hurt that it also keeps the jobs and dollars local. Intentions and business models aside, the rubber’s gotta eventually meet the road. How does it ride? To that end, we’ve been wearing and using Ornot’s kit for about a season. 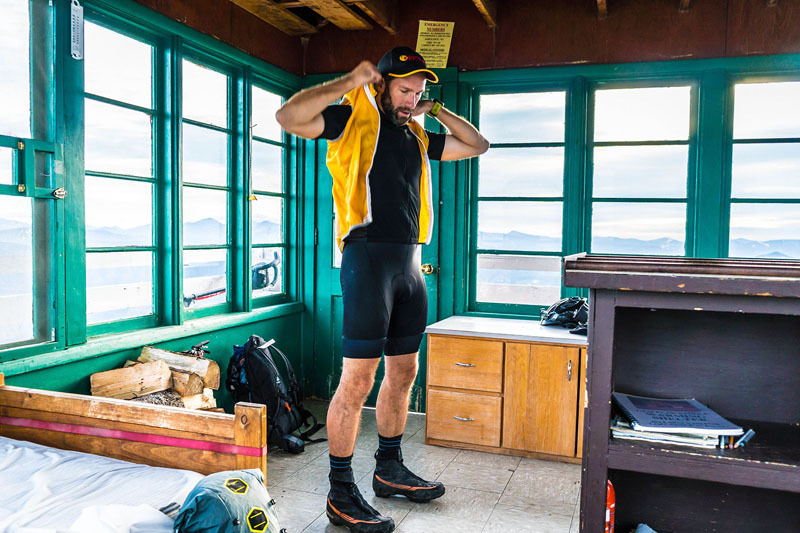 We wore the kit pushing BTU’s on blistering hot days and rolled tires through deep snow. 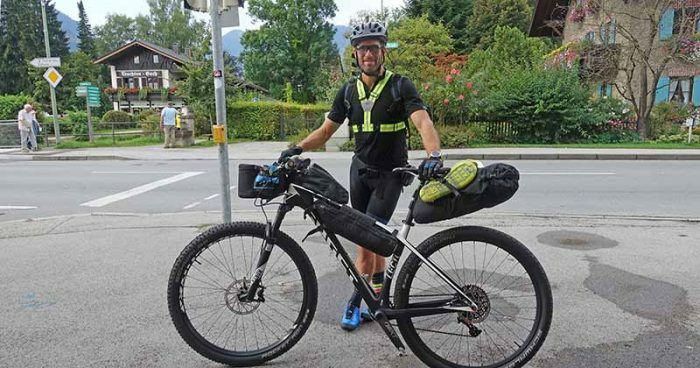 We packed the kit to Europe and toured across Bavaria. Back in the States we connected remote fire towers scattered across the Montana/Idaho spine, airing it out each night with nothing more than fresh Bitterroot alpine air then slipped back into it the following morning to do it all over again. Here’s a quick look of the burgeoning cycling clothing brand. Not all jerseys are created equal. While Lycra is great for pushing watts on the road, if you are a rider of leisure, comfort trumps speed. And for all day, day-after-day pursuits, nothing beats the comfort of wool. It keeps you cool on the climbs, warm on descents, dries rapidly, and, most importantly, it naturally keeps the stench at bay. 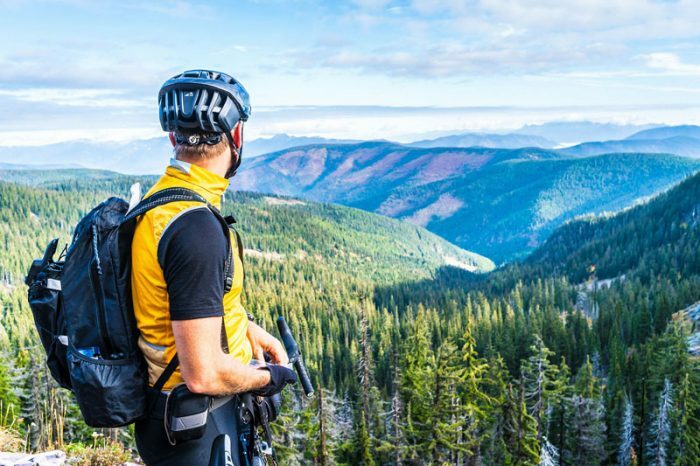 The Merino Jersey has all the trimmings of a road jersey, but it’s looser cut and black aesthetic give riders ninja-like transition skills from road to back country tavern. We saddled up at a Montana bar racked with knife and gun toting locals with relative ease. The price is on the higher side…just over Ibex but still below the likes of Rapha and Kitsbow. As summer nights transition to fall mornings, the arms spill heat more rapidly. On local rides, when I’m up early and back by mid morning, I’ll reach for arm warmers. They add heat where you need it, peel off with ease, and virtually disappear when stowed in a back pocket. The Greyskull bridges the gap for rides that go all day or perhaps all weekend. The full-zip micro-fleece cardigan dampen’s the ‘I’m a rider’ look when you stop to resupply in civilization. It also became my go-to fleece for kicking it post-ride by the campfire. For $130, it’s about on par with what you’d buy from Patagonia. Though the Greyskull is much more formfitting. In spite of it’s slim fit, it felt true to size. After the bike, helmet and shoes, every rider should have a pair of bibs. Bike shorts are great (and truthfully, offer a better exit strategy), but for luxurious comfort, you can’t beat the bib short. It’s a girdle for your rolly parts and overlaps, keeping everything nice and tidy–in its place. The long leg grippers snug the bibs across the thighs but without overtly compressing your tired guns. The bib shorts run small, so size up. While most of Ornot’s kit embraces minimal aesthetics and a subtle palette, the Golden Vest hits visibility where it counts with its irascible ‘hey car, you can’t miss seeing me’ blaze yellow. The back of the vest is trimmed in mesh with three stow pockets. Reflective piping trims the rear pockets for increased visibility. Down side, the zipper on the model we tested was way overbuilt for the mission. Ornot shared they took note and are updating the vest in 2017 with a smaller gauge zipper. And at $120, it was priced higher than most wind vests on the market. Perhaps nothing has added more joy to distance riding than the bike bag. Last year Blackburn jumped in. So did Specialized. 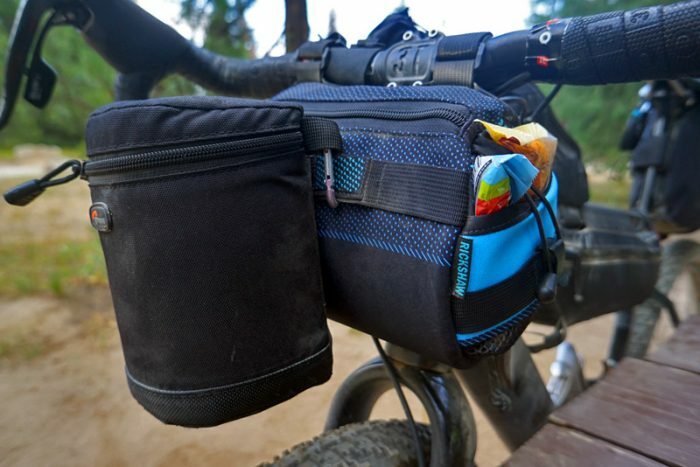 After a year of prototyping, Ornot released a tubular bar bag that fits perfectly between the horns of a drop bar. 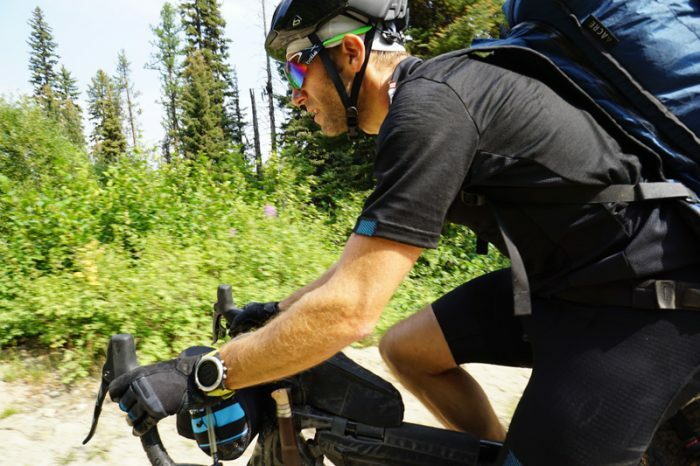 While most handlebar bags are burrito style harnesses that strap a stuff sack of gear, Ornot went a different direction, making a 1.5 liter bag that directly lashes between the horns of the drop handlebar. A single zipper gives access to the contents of the bag. Two side sleeves lash shut with a bungie cord. A daisy chain runs over the front of the bag and sleeves. The Bar Bag swallowed my zoom lens and digital tech, and the side pockets had enough room to keep me well fed for hours in the saddle. And I was able to lash my camera bag to the front daisy chain for quick shooting. The Bar Bag is super stable – I absolutely fell in love with this bag. Cycling will always blur the line between athletics, fashion, and innovation. A kit won’t make you a better rider. But the infusion of pop into motion is undeniably part of what makes cycling an exciting and human experience. Ornot is like that techie startup … lean, hip and in touch with their core user. The kit has spot on styling and for an American made good is reasonably priced. In the market for a new kit? Can’t stand the look of a logo-laden kit? Give Ornot a look. previous:Oh Winter, Where Art Thou?